In medium bowl, beat pudding mix and milk with wire whisk until well blended. Stir in 1 cup of the whipped topping. Spoon mixture evenly into tart shells. Spoon 2 tablespoons remaining whipped topping in center of each tart. Top with raspberries. Serve immediately, or refrigerate until serving time. 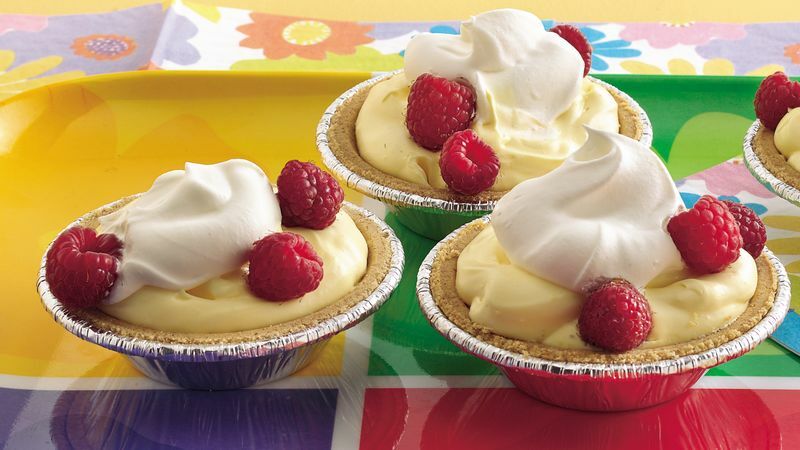 A 6-ounce container of fresh raspberries will provide 1 cup.